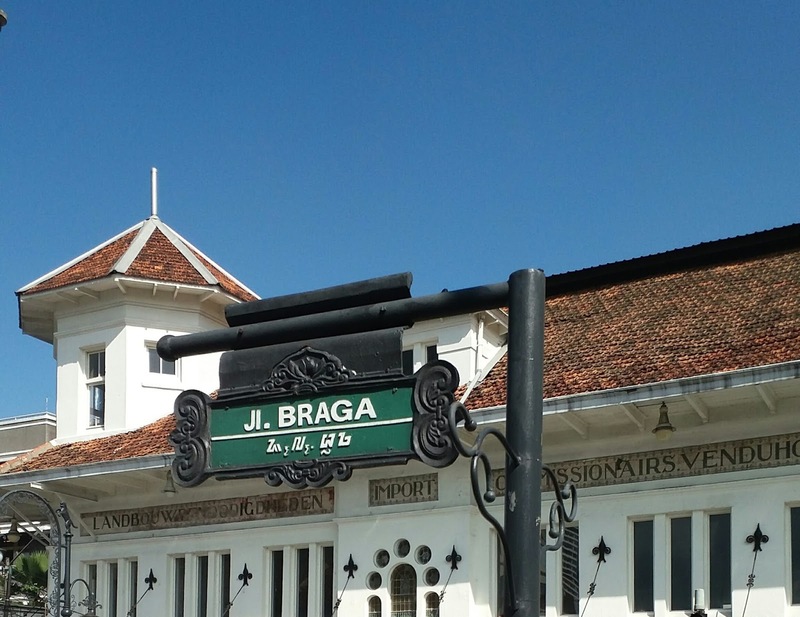 Braga Street (official name in Indonesian: Jalan Braga) is a small street in the center of Bandung, Indonesia, which was famous in the 1920s as a promenade street. Chic cafes, boutiques and restaurants with the European ambiance along the street to make the city to attain the Paris of Java nickname. The street starts from a T-junction with the Asian-African Street (the De Groote Postweg during the colonial times) to the north to the city council, which was formerly a coffee warehouse. The first name of the street was Karreweg. The city residents dubbed it Pedatiweg, from the English language of horse-drawn carriages (pedati), because it was a narrow street (about 10 m or 30 feet wide) that only carriages could pass through. The street was built only to connect the major coffee plantation owner Andries de Wilde (the warehouse is now the seat of the city administration or city hall). In 1856, when Bandung was the capital of Priangan Regency, some colonial houses were built along the dirt road of Braga Street with their houses thatched with reeds, grass or other straw materials. In 1882, a theater group established itself at the south of the street and the Toneel Braga, the name of the drama group, became famous. Residents flocked into the street to watch the group's performances every night and the road was improved by stone pavements, and oil lamps were installed. The street was at that time popularly known as the Braga street. In 1884, a railroad connecting Batavia to Bandoeng was laid down and the city core grew rapidly. New buildings filled the southern end of the street while the northern end is still a rubber tree forest. The street became more famous with a grocery store named De Vries which sold daily needs for plantation owners. Hotels, banks, cafes and restaurants were opened and the street transformed into a major shopping street. In the early twentieth century, the street was the most important European shopping street in the Dutch Indies. Several well-known Western companies opened their stores in the street, including Chrysler, Plymouth and Renault car distributors. Colonial bookstores, watches and jeweleries retailers and boutique shops are common in the street for the high society. Jalan Braga (Braga Street) Bandung is now clearly different but still the same. The Different is infrastructure and the life of its people are now in modern times, and the same is the atmosphere of place and history that is always attached to this place, as the center of fashion and exclusive place for tourist attractions in Bandung. 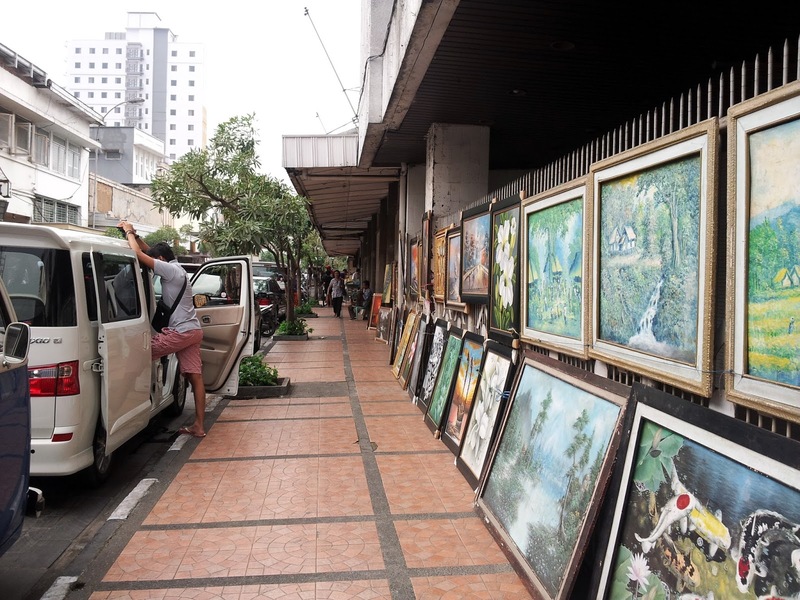 Braga Street Bandung area, is an entertainment area and shopping place that became a favorite of visitors. Usually conditions Braga City will seem very crowded when the weekend or school holidays. 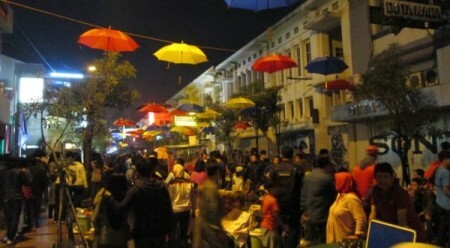 Will look young people who pass around Bandung who really enjoy the atmosphere in this Braga City Walk. If you visit then certainly will come late in a busy atmosphere but still relaxed. Braga Street is lay near to Asia Afrika Street and Crossed by Naripan Street. If you come from Bandung City Hall you have to follow Lembong Street, turn right to Tamblong Street, and Turn right again to Naripan Street until you see the sign of Braga Street.